Browse campaigns posted every Monday, purchase campaigns that fit your company, connect with candidates, and measure results. The military is the new college and more. Every day veterans and military spouses are exploring civilian careers leveraging everything from hiring fairs to counseling to best fit their extraordinary skills to great employers. For the past decade, FASTPORT's systems have powered many of those efforts. Military Monday provides the best way to "plug-into" the dynamic ecosystem to our nation's strongest candidates. Each Monday, we release a new list of connection campaigns crafted to “what's happening" in veteran employment. Sometimes large hiring events drive veteran employment, while at other times it can be everything from different needs for military staffing to changes with world events. Military Monday's campaigns keep up with those changes to boost your access to both veterans and military spouses. Getting started is easy. Click the "Connect Now" button to browse this week's campaigns. Each campaign will have details on the candidate demographic so that you can choose campaigns that best fit your needs. Hit the "Contact" icon above if you would like more information on any campaign. After you've added your campaigns to your cart, check-out and you will be in business. Beginning during their service and continuing through re-enlistment and transition, FASTPORT builds a career profile for service members. This profile takes into account integrated and crosswalked data, including popular searches such as occupational fit, pay grade, transition window, and geography. Leveraging proprietary match technology, FASTPORT’s campaigns allow companies to connect into this Transition Network and find the candidates with highest percentage match to current, open positions. The Veterans, transitioning service members, members of the Guard and Reserve, military spouses that share their career profile come from multiple partners. 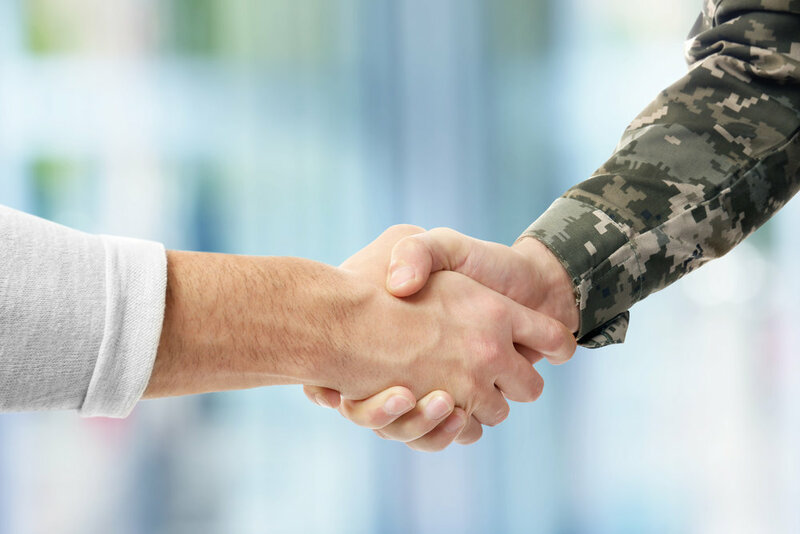 FASTPORT’s team and technology interact with the most productive veteran hiring initiatives in the United States and work with worldwide Veteran hiring initiatives to help connect the nation’s military to careers in which they can excel. Companies have access to this aggregated pool of candidates through the “Military Monday” series of campaigns.